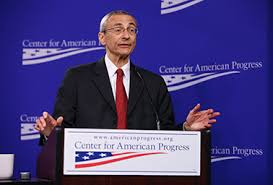 Was John Podesta’s Center for American Progress Designing Disclosure?. 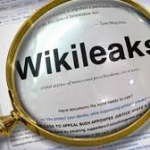 Grant Cameron’s Wikileaks Research on October 26, 2016, cited multiple cc’d emails between Podesta and both former and present staff of his, Soros-funded, Center for American Progress (CAP). Did Podesta’s interest in UFOs and ET Disclosure involve his CAP organization, or was ET a minor personal interest? 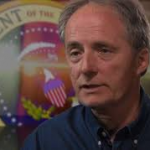 Finally my biggest Failure of 2014: Once again not securing the #disclosure of the UFO Files? What was going on down the Hall at CAP? In 2009, I visited CAP for a public forum on Transparency in Obama White House. Question: During the CAP forum, were staff down the hall designing Disclosure? After all, CAP was founded by Podesta and developed his primary political policies. DC Think Tanks, like CAP, are Lobbyists. They work for corporate, political, military, intelligence, wealthy donor, religious, and community interests. And they are generously compensated for their policy work. The DC reality is Think Tanks move issues as focused groups of researchers and scholars get behind ideas and propose policy that becomes legislation then law. Think Tanks are like a university faculty of corporate-government-donor funded scholars. Money is the carrot to contextualize research around a given policy intent. Some carrots, like George Soros who funded CAP, have a stronger power. A goal of The Institute for Exoconsciousness is to develop a Think Tank to move the issue of ET Experiencers, Exoconsciousness, as a Primary Source of Disclosure. The Institute’s research aim is to focus on the Disclosure information from Experiencers. We affirm that Disclosure sourced in ET Experiencers, Exoconsciousness, is necessary to empower humans in their innate ability to connect and communicate with Extraterrestrials. The history of Think Tank and Press Conference Disclosure was primarily sourced in government, military, and Intelligence witnesses. Brookings Institution: Proposed Studies on the Peaceful Implications of Peaceful Space Activities for Human Affairs, December 1960. PDF Here. Why Disclosure by Exoconscious ET Experiencers? Question: As Disclosure activists, have we become aligned, one with our Sources, when we perpetually refer to only government, military and intelligence experts for our information on UFOs and ET? If your answer is Yes, then you need to ask yourself why you chose to narrow your research? 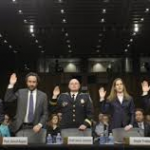 And what was accomplished by Disclosure by select testimony from vetted government sources? where facts and events are fed by government- military-intelligence and digested as identity? Mythically, this closed loop is called Ouroboros, the snake eating its tail. Hollywood terms it the Matrix. Science terms it holographic consciousness. As Edgar pointed out in his Wikileaked email to Podesta, much of our Government is operating from outdated beliefs and policies that are different from those of the average Ufology-educated citizen. Fifty years ago Battelle, Brookings and RAND studies on UFOs convinced the government to remove knowledge of the extraterrestrial presence from the citizens of our country. These organizations advised with their best information. However, today much, if not most, of the extraterrestrial reality they examined is known by our citizens. These organizations’ resultant strategies and policies of 50 years ago no longer hold credibility or benefit. Really? That sounds like a setup if I’ve ever heard one. DeLonge is trumpeting (sorry for the Revelation illusion) stimulus-reaction, trauma creating ET attack. Why? So our government can bring on the space weapons and corral citizens with neural technological controls. I don’t know about you, but I’m weary of locked doors and special access ET Disclosure. 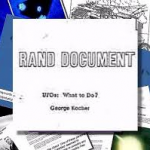 We, who educated ourselves through the 70 years of available Ufology, have an idea, not only of the above top secret government UFO-ET information such as Delonge purports to bring forth, but we have our personal UFO ET experience. We have balance. We are comfortable with the complexity we humans constructed around ET. Heck, we confess we constructed some of our own unnecessary complexity. But we confess our failings and move to another level of awareness about ourselves and ET. Instead of clumsy complexity and trained trauma, we Exoconscious quickly pick up possible false flag, staged UFO-ET appearances, ala von Braun, designed to scare us into begging for more military technology for space war. No thanks! The concocted story that ET is invading is false. If anything, ET is shutting down OUR space invasions. See Robert Salas. We humans are the evil space invaders. The Terminators. Scripting our own dangerous Independence Day game. If you want to play along with the locked doors and above Top Secret plan, then that’s your choice. But Exoconsciousness is an alternative to re-traumatizing yourself with fears of an ET attack. 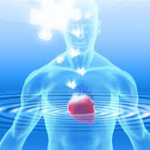 Exoconscious are individuals, citizens like you and me, who have matured into their ET experiences. Integrated. Gained wisdom and peace. And we need to open-up and share what we know. Here’s how. If you are an ET Experiencer who is a researcher, scholar, we have a seat for you at our Exoconscious Think Tank. We as ET Experiencers, Exoconscious, will prioritize and develop sane healthy ET -UFO policy that becomes legislation and then law. We will gather as researchers and scholars for the peaceful advancement of all life–planetary, human and ET. Our vision is that the ET Presence is and will continue to emerge and emanate on our planet through the coalescence of Experiencer communities sharing ET-Human exoconsciousness for harmonic sustainability and peaceful advancement of life. Steve Bassett’s Paradigm Research website compiles Cameron’s research. ExoconsciousnessDisclosure Exoconscious CitizenWas John Podesta’s Center for American Progress Designing Disclosure?